Complimentary wine tasting per membership or per member and one guest per visit (2ppl max) with purchase of a bottle or when picking up wine club installment. No complimentary tastings during events. Love whites and reds? Can't decide one way or the other? Then Grape Nuts is the membership for you. Jonathan carefully selects a collection of 3 wines, which may include limited releases, that fit the current season. Because food and wine belong together, we include recipes to enjoy with your wine. Each 3 bottle collection ranges from $75-$115, which includes a 10% discount. Are you a red wine lover? Then our Jed's Reds membership hits the mark. Jed's Reds is built on the premise of "drink one, age one". 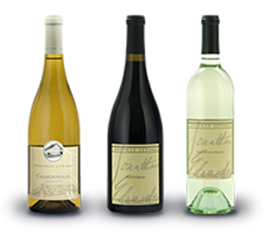 Jonathan thoughtfully selects 3 varietals twice a year in May and November. You will receive two bottles of each varietal, one to enjoy now, and one to add to your collection for a future date. These age worthy wines will continue to impress for years to come. You will receive a newsletter with a message from Jonathan, and recipes to pair with your wine. 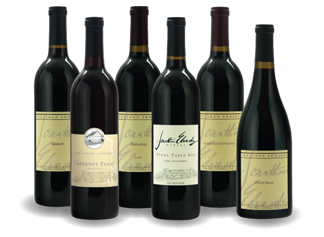 Each 6 bottle selection ranges from $160 - $225, which includes a 10% discount. **Onsite Member sign-ups can activate their member profile by choosing "LOGIN" from the "SHOP" page. Choose 'forgot username/password' and the system will walk you thru activating your profile. Once logged in, shop online, receive your member discounts, and update your profile when needed. Questions about your membership? Email us at orders@jedewardswinery.com.